Here in New England and in fact around the globe, the rideshare business has grown with stunning speed – companies like Uber and Lyft are still less than a decade old. In fact, the industry’s growth has been so swift, lawmakers and insurance companies are still making adjustments to the laws and the insurance policies that the rideshare industry requires. Riding with Uber and Lyft is quite popular in the Boston area, but if you’re injured in an accident that involves a rideshare vehicle, what are your rights? Can an uber accident attorney help? WHO PAYS FOR RIDESHARE ACCIDENTS? What happens when someone is injured in an accident with an Uber or Lyft vehicle? Who is liable for the medical costs, property damages, lost income, and related expenses? Drivers for Lyft and Uber use their private vehicles, so insurance coverage for a rideshare vehicle is somewhat complicated. 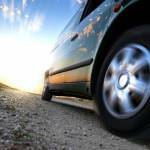 HOW IS INSURANCE COVERAGE FOR RIDESHARE VEHICLES DETERMINED? Whether the rideshare company’s insurance or the driver’s personal auto insurance covers a rideshare vehicle depends on the vehicle’s status. 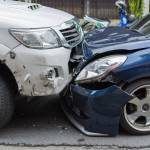 Each accident is unique, so anyone who is injured in Massachusetts traffic by an Uber or Lyft driver will need the insights and sound legal advice that an experienced Boston personal injury attorney can provide. If you are injured in an accident with an Uber or Lyft vehicle, or if you are injured while you are a passenger with Uber or Lyft, an attorney’s guidance is imperative, but what should you do immediately after an accident happens – and no lawyer is there to advise you? If you’re injured in any accident that involves a rideshare vehicle, immediately begin gathering the evidence and documents that you might need later for legal reasons. If the other driver is working for Lyft, Uber, or for any other rideshare company, get details about the insurance coverage. Find out who to contact and where you submit a claim. Make sure that you get the rideshare driver’s name, telephone number, address, and as much information about insurance as possible. Try to determine the rideshare vehicle’s status at the time of the accident. WHAT OTHER EVIDENCE SHOULD YOU TRY TO OBTAIN? If you’re a passenger, try to obtain as much information as you can from both drivers. Take plenty of photos. Photographs can be convincing evidence in traffic accident cases. If you’re incapacitated, try to have someone else take photos for you and get the information you need from the driver or drivers. Summon the police and find out how to acquire a printout of their vehicle accident report. That report might be helpful if you need to file an injury claim. Finally, if there were eyewitnesses to the accident, get their names, phone numbers, and any other contact information they may offer. Your attorney may need their statements or testimony. HOW SHOULD YOU DEAL WITH AN INSURANCE COMPANY? If you’ve been injured, don’t even speak with any insurance company before you’ve consulted with a good personal injury lawyer. Don’t make any statement, sign any paperwork, or agree to any settlement or settlement amount. When you’ve been seriously injured – and you deserve substantial compensation – an auto insurance company may offer you a ridiculously low settlement amount – or even reject your claim altogether. 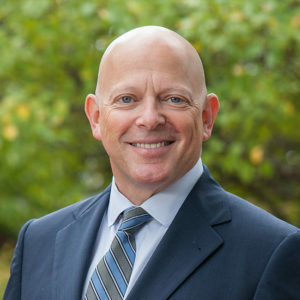 If you’re injured in an Uber or Lyft accident in the Boston area or anywhere in the state, let an experienced Boston personal injury attorney – someone who routinely negotiates with insurance companies – handle your personal injury claim while you focus on regaining your health. WHAT CAN COMPLICATE AN INJURY CLAIM INVOLVING LYFT OR UBER? Injury claims in rideshare accident cases can get legally complicated because Uber and Lyft drivers are not “employees” in the legal sense. Rather, they are independent contractors. Generally speaking, employers may be held liable for an employee’s negligence while an employee is “on the clock,” but employers are not liable for the acts of independent contractors. If you are injured while you are riding as an Uber passenger in a rideshare vehicle, you should be covered. If you are injured as an Uber or Lyft passenger, those companies now provide one million dollars in liability coverage to passengers, and it is coverage that applies whether the rideshare driver or the other driver was at fault. 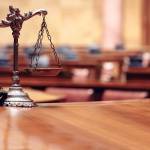 HOW CAN A BOSTON INJURY LAWYER HELP? Nevertheless, if you’ve been injured, you’ll need the advice of a good personal injury lawyer to make sure that your rights are protected and that your compensation is paid without difficulty or delay. If you’re injured as a pedestrian, or if you’re in another vehicle when you’re injured by a rideshare driver, you’re covered through the rideshare company’s insurance only if the rideshare driver was transporting a passenger or on the way to pick up a passenger. If an accident happens when the rideshare driver doesn’t have a passenger, is not on the way to pick up a passenger, or is off duty, then the rideshare company has no involvement, and you’ll be dealing with that driver’s personal insurance policy for his or her vehicle. The Property Casualty Insurers Association of America reported in 2016 that more than half of the states have now passed laws regarding rideshare vehicles and insurance coverage for passengers. Lyft and Uber have recently increased their coverage limits in a number of markets, and auto insurance companies have created insurance policies tailored to the needs of Lyft, Uber, and their drivers. 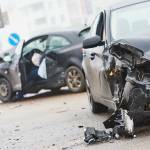 WHY IS A MEDICAL EXAMINATION IMPERATIVE AFTER A TRAFFIC CRASH? Anyone involved in any traffic collision must seek a medical exam at once – even if you’ve never felt better. If a latent or hard-to-detect injury emerges days or weeks later, without that medical exam, it might be hard to prove that you were injured in that specific accident – and subsequently, it will be hard to collect the compensation you’ll deserve and need. The importance of a medical exam after any accident cannot be stressed strongly enough. Uber and Lyft passengers and drivers should both know their risks as well as their rights. Ridesharing is a smart and convenient way to get around the Boston area, but understand the risks, and if you’re injured in an accident involving a Lyft or Uber vehicle, get the legal help you need at once. Your health is a priority, and if you are injured by negligence in Massachusetts, compensation is your right.